As for what the way of eternal life really is, we should first know where it comes from. We all know that when God became flesh, He bore witness that He is the truth, the way, and the life. This is sufficient evidence that only Christ can express the way of eternal life. Since Christ is the appearance of God incarnate, since He is the Spirit of God clothed in the flesh, that means the essence of Christ is the essence of God, and that Christ Himself is the truth, the way, and the life. So, Christ is able to express the truth and carry out the work of redeeming and saving mankind. This is certain. Regardless of in which age God becomes flesh, the essence of Christ will never change. The Lord Jesus is God Himself in the flesh. So when the Lord Jesus came, He bore witness to Himself as the truth, the way and the life, and the source of the living waters of life for mankind; He was able to express the truth and bestow upon man the way of repentance. Just as the Lord Jesus said: “Whoever drinks of this water shall thirst again: But whoever drinks of the water that I shall give him shall never thirst; but the water that I shall give him shall be in him a well of water springing up into everlasting life” (Jhn 4:13–14). Everything spoken by the Lord Jesus is an expression of His divine essence, and it is also expressed in accordance with the work of redemption carried out by Him. This is undeniable! The Lord Jesus is God in the flesh; Almighty God is the return of the Lord Jesus. He is also God incarnate, the embodiment of truth. So, since the arrival of Almighty God, He has also borne witness to Himself as the truth, the way, and the life and expressed all the truths to cleanse and save mankind, bestowing the way of eternal life upon man. Why has God borne witness to Himself as the truth, the way and the life during both of His incarnations? It’s because Christ is of divine essence. To put it simply, God Himself is the way of eternal life—God Himself is eternal life. 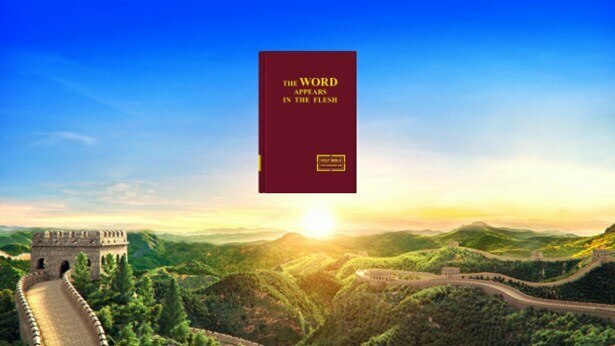 As a result, God incarnate is able to express the truth, and He is able to bestow upon man the way of eternal life and do God’s own work in different ages. God’s work of saving mankind is divided up into stages. It is not something that can be completed through just one stage of the work of redemption. After God completed His work of redemption, He still needs to carry out His work of judging, cleansing and thoroughly saving mankind in the last days. This is why the Lord Jesus promised that He would return, which proves that God’s work never stops moving forward, that there is no way it would stop in the Age of Law or the Age of Grace. God’s salvation for mankind comprises three stages of work, that is, the work in the Age of Law, the Age of Grace and the Age of Kingdom. The period from the Age of Law to the Age of Grace spanned about 2,000 years, and the time from the Age of Grace to the Age of Kingdom spanned about another two millennia. All of the work of judgment starting with the house of God carried out by the returned Lord Jesus is the work of thoroughly cleansing and saving mankind; it is also the work of bringing an end to an age of darkness and evil and ushering in the Age of Kingdom. God’s management plan for mankind’s salvation will be accomplished through His work of judgment in the last days, and mankind will be brought into a beautiful destination. So, since God’s work in the last days is able to bear this fruit, wouldn’t you say that all the truths expressed in God’s work in the last days are the way of eternal life that God bestows upon mankind? If there are many people who are conquered by the truths expressed by God in the last days, who are cleansed, perfected, who attain knowledge of God, whose life dispositions are transformed, and who live out the likeness of a real human being, then is the way of life that they have gained really the way of eternal life? If it really is the way of eternal life, then it is certain that it is the truth that can cleanse, save, and perfect man, and it is certain that it can allow people to achieve knowledge of God, obedience to God, and worship of God. This is absolute. If we have true understanding of this point and then take another look at all the truths expressed by Almighty God, then we will be able to know what the way of eternal life is. Both times that God has become flesh He has been able to bestow the truth, the way, and the life upon mankind, but all that the Lord Jesus did was just the work of redemption. Only Almighty God of the last days does the work of judgment and cleansing, and only through His work can the outcome of thoroughly cleansing and saving mankind be achieved. At this point in the fellowship perhaps some people will ask: “When the Lord Jesus came to carry out His work, why didn’t He preemptively reveal the work to be carried out and the truths to be expressed by God in the last days? Could it be that the Lord Jesus wasn’t able to judge and chastise mankind? Could it be that the Lord Jesus wasn’t able to bestow the truth and the life upon us? Can we not obtain eternal life through the word of the Lord Jesus?” Undoubtedly, many people lack adequate understanding of these questions, but we must understand that every stage of God’s work contains its own essence and content, and every stage of His work will achieve a certain outcome. So, all of the truths expressed in every stage of God’s work and all of the words that He speaks are meaningful and have their own purpose; they all serve to achieve an outcome. All of the words expressed in each stage of God’s work revolve around all of His work and are uttered in order to achieve the intended outcomes. God would never say anything that is unrelated to His work—this is the principle of His work and His word. All of the work done by the Lord Jesus was the work of redemption, not the work of judgment of God in the last days. So, all of the truths expressed by the Lord Jesus revolved around His work of redemption and they are different from all of the truths expressed by Almighty God in the last days for the cleansing, salvation and perfection of man. This is why only all the truths expressed by Almighty God in the last days can be called the way of eternal life which can cleanse, save and perfect man, while all the truths expressed by the Lord Jesus are just the truths that redeem mankind. What He expressed is nothing more than the way of repentance for mankind because God’s work has a plan, and it has steps. Whatever work that God ought to do in each age is already planned out—His plan cannot change, and He will not throw His own plan into disarray through His work. Just as in the Age of Law, Jehovah God just issued the law to guide mankind’s life on earth in accordance with humanity’s needs and His own work plan. He was just doing the work of guiding mankind’s lives on earth. Then the Lord Jesus came, ushering in the Age of Grace, and He expressed the way of repentance, “Repent: for the kingdom of heaven is at hand,” and did the work of redeeming mankind through His crucifixion. And in the last days Almighty God has come, expressing all the truths to cleanse and save mankind. He carries out the work of judgment starting from the house of God, ending the previous age and ushering in the Age of Kingdom. This allows us to see that whatever work God carries out in whichever age, whichever truths He needs to express, it is all planned and principled. God’s work is structured and advances step by step, with every step complementing each other. Every stage of God’s work is based on mankind’s needs, on mankind’s actual stature, and on God’s preordained arrangements. When the Lord Jesus was doing His work of redemption, man did not have knowledge of God or God’s work; people just recognized that God created the heavens and earth and all things and only knew to follow God’s laws and commandments. So, when the Lord Jesus carried out His work of redeeming mankind in the Age of Grace, He just expressed the way of repentance, “Repent: for the kingdom of heaven is at hand,” to enable man to come before God, confess his sins, and repent, and to acknowledge to God all of the sins he had committed so that he could ask God for absolution and salvation. This was also so that he could pray to God, give thanks to God and praise God, and be able to enjoy all of God’s grace. These are the outcomes that have already been achieved through God’s work of redemption. After many years of faith, quite a few people are able to recognize that all the sins they have committed have really been absolved by God, but their intrinsically sinful nature still exists just as before, and it is deeply entrenched to the point that they are still subject to the control of their sinful nature, frequently sinning and resisting God. They have not broken away from the binds of sin and become pure. This is something that everyone accepts as fact. So then, for believers like us who have been absolved from our sins, have we truly received the way of eternal life? Does the absolution of our sins mean that we have been purified? Does it mean that we have truly attained salvation and that we have received the praise of God? If these outcomes cannot be achieved, then how can we say that we have already received the way of eternal life through our faith in the Lord? Is there anyone who dares to say this? The work that the Lord Jesus carried out was that of redemption, and what He preached was the way of repentance. His work was clearly to pave the way for the work of judgment in the last days. So, in accepting the Lord Jesus we have only gained absolution from our sins; we haven’t truly gained eternal life. If we are able to accept the work of judgment in the last days carried out by the returned Lord Jesus, then we will be cleansed and receive God’s praise, and only then will we truly be people who have gained eternal life. Our faith in the Lord Jesus only absolves us from our sins and qualifies us to pray to God and enjoy His grace. These are just the outcomes achieved through the Lord Jesus’ work of redemption. There are many people who do not have an understanding of the work of the Lord Jesus. They are under the impression that since the Lord Jesus has finished His redemptive work and they have been absolved from their sins because of their faith in the Lord, God’s work of salvation is completely finished. They think that since one thing has been done, everything is done. This is a huge mistake! If this were true then why would the Lord Jesus have said that He will return? Many people are unaware of what work the Lord Jesus actually has to do upon His return; this is a lack of knowledge of the work of God. They just rely on human notions and imaginings when observing the work of the Lord Jesus. They are under the impression that we obtain eternal life just by believing in the Lord, that just like that we can enter into the kingdom of heaven. Aren’t these the notions and imaginings of man? Now everyone is probably aware that it is only through the work carried out by the returned Lord Jesus in the last days that man is able to obtain eternal life. This could not be more true. So why is it that only Christ of the last days can bestow the way of eternal life upon man? Could it be that the Lord Jesus is unable to bestow that upon man? You cannot put it like that. We must be clear about this: The Lord Jesus is the incarnation of God, He Himself is the truth, the way and the life, and He Himself possesses the way of eternal life. So then, why is it that we cannot obtain eternal life solely by believing in the Lord Jesus? Why is it that only Christ of the last days can give man the way of eternal life? This is based primarily on the outcomes achieved through God’s work. We all know that in the Age of Grace, the Lord Jesus only carried out the work of redemption, so, even though we were absolved of our sins from the time we put our faith in the Lord, we are still driven by our sinful nature and we often sin and resist God in spite of ourselves. We are incapable of breaking away from the binds of sin and becoming pure, and we are not qualified to enter into God’s kingdom. This is sufficient to prove that the Lord Jesus’ work to redeem mankind was not the work to thoroughly cleanse and save mankind—only the work of judgment in the last days done by the returned Lord Jesus can cleanse and save mankind. This is why the Lord Jesus prophesied that He would return; just as the Lord Jesus said: “I have yet many things to say to you, but you cannot bear them now. However, when He, the Spirit of truth, is come, He will guide you into all truth: for He shall not speak of Himself; but whatever He shall hear, that shall He speak: and He will show you things to come” (Jhn 16:12–13). “He that rejects Me, and receives not My words, has one that judges him: the word that I have spoken, the same shall judge him in the last day” (Jhn 12:48). The Lord Jesus’ prophecy has already come true. That is, Almighty God does the work of judgment starting from the house of God in the last days, and He has expressed all the truths to cleanse and save mankind. These truths are the way of eternal life that is bestowed upon man by God in the last days. Through judgment, Almighty God works all the truths He expresses into mankind so that they may become the life of man. God does not express a truth without good cause; He targets man’s various notions and imaginings, He targets man’s nature and essence of disobeying and resisting God as well as the various satanic dispositions of man in His expression of the truth in order to judge and expose mankind. The process of God’s chosen people accepting the truth is the process of undergoing judgment and chastisement and enduring the hardships of refinement, as well as the process of being cleansed and attaining salvation. This is why each and every person who undergoes God’s judgment and chastisement in the last days understands many truths; they truly know their own corrupt essence that resists and betrays God, and they also understand God’s holy essence and His righteous, unoffendable disposition. They have true reverence for and obedience to God, and they all have received the truth and the life from God—they have been made into overcomers by God. This group of people are those who in the Book of Revelation were prophesied to be the overcomers who would come out of the great tribulation. This indicates that over the course of undergoing God’s judgment and chastisement, His chosen people will have to suffer many hardships in order for them to be completely purified. Could that be a simple matter? Is it easy to accept the truth as their life? They must endure many hardships, and all of these hardships are undergoing the judgment and chastisement of God; they are all suffered in order to receive the truth as their life. They could all be termed near-death experiences, or like undergoing a complete transformation. When these people walk out of the great tribulation and become overcomers, what will the life that they gain really be? It will be the way of eternal life brought about by all the work of judgment of Christ of the last days. In the Age of Grace the Lord Jesus carried out the work of redemption, which only gave people this path: “Repent: for the kingdom of heaven is at hand.” Almighty God has come in the last days, and has expressed all truths to cleanse and save mankind on the foundation of the work of redemption carried out by the Lord Jesus. He is thoroughly saving the corrupt race of humans from Satan’s influence so that they will be freed from their sins, from their filth and corruption, and return to their original human likeness. This will allow mankind to live in the presence of God, where they can become people who obey and worship God, bringing to an end God’s management plan for saving the human race. So, only by accepting Almighty God’s work of judgment in the last days can we be cleansed and saved, and enter the kingdom of heaven. At this point in the fellowship, everyone ought to know now why it is that only Christ of the last days is able to bestow upon man the way of eternal life. The Lord Jesus is God become flesh, is God’s appearance. The Lord Jesus said: “And whoever lives and believes in Me shall never die” (Jhn 11:26). “The water that I shall give him shall be in him a well of water springing up into everlasting life” (Jhn 4:14). The Bible says, “He that believes on the Son has everlasting life” (Jhn 3:36). These words are all truth, they are all fact! Because the Lord Jesus is God become flesh, He has God’s substance and identity. He is Himself the way of everlasting life. All that He says and does is a natural manifestation of the life of God. All that He expresses is truth and what God has and is. So the Lord Jesus is Himself everlasting life, and can grant the way of eternal life. He can bring the dead back to life. By believing in the Lord Jesus, we believe in the only true God, and thus can receive eternal life. This is without question. The Lord Jesus’ resurrection of Lazarus is good proof that the Lord Jesus can grant us the way of eternal life, He has this authority. Then, why is it that the Lord Jesus did not grant the way of eternal life during the Age of Grace? This is because, the Lord Jesus came to be nailed to the cross in order to redeem mankind, not to do the work of purification and salvation as in the last days. The Lord Jesus’ work of redemption was only concerned with pardoning man’s sins, but it didn’t rid man of his satanic nature and disposition. So, by believing in the Lord, we were pardoned for our sins, but our satanic disposition was by no means cleansed. We still sin in spite of ourselves, resist and betray God. Having established all this, we need to be clear on something. The Lord Jesus’ redemptive work during the Age of Grace paved the way for the work of judgment in the last days, so, after the Lord Jesus had completed the work of redemption, He also promised that He would come again. The Lord Jesus once said, “I have yet many things to say to you, but you cannot bear them now. However, when He, the Spirit of truth, is come, He will guide you into all truth: for He shall not speak of Himself; but whatever He shall hear, that shall He speak: and He will show you things to come” (Jhn 16:12–13). From the words of the Lord Jesus we can see only when the Lord comes again in the last days will He express all truth that purifies and saves man. Here, “The Spirit of truth, is come, He will guide you into all truth.” These truths are exactly the truths that Almighty God of the last days expresses in purifying and saving mankind. They are the words the Holy Spirit says to the churches, and they are the way of eternal life which God has bestowed upon mankind in the last days. This is why we, as believers in the Lord, were unable to obtain the way of eternal life in the Age of Grace. The Lord Jesus said, “And whoever lives and believes in Me shall never die.” And the Bible also says, “He that believes on the Son has everlasting life.” Actually, the Lord said this to testify to the fact that He Himself is God’s appearance. And only God can grant man eternal life. The Lord Jesus’ promise that those who believe in Him would never die is a testimony to God’s authority. God is Himself the way of eternal life, God is capable of granting man eternal life. This is not to say that man received eternal life upon accepting the Lord Jesus’ work. It’s not difficult to understand this. But in religious circles, many people believe that as long as our sins are forgiven, we can enter the kingdom of heaven and gain eternal life. Is there a basis for this perspective in the word of God? The Lord Jesus never said anything like that. Let’s think about it: According to our conception and imagination, as long as our sins are forgiven we can enter the kingdom of heaven and gain eternal life, but why did the Lord Jesus prophesy many times that He would come again? And why did He tell His disciples so many prophecies and parables? Those prophecies and parables are things that He is going to accomplish when He comes again. Could it be that we believe in the Lord for many years but still do not see these things clearly? Some people only accept the Lord but do not accept His return. What kind of problem is this? Is this not a betrayal of the Lord? No wonder the Lord Jesus said: “Not every one that said to Me, Lord, Lord, shall enter into the kingdom of heaven; but he that does the will of My Father which is in heaven. Many will say to Me in that day, Lord, Lord, have we not prophesied in Your name? and in Your name have cast out devils? and in Your name done many wonderful works? And then will I profess to them, I never knew you: depart from Me, you that work iniquity” (Mat 7:21–23). The Lord’s words have now completely come true. If someone only accepts the Lord Jesus but does not accept His return, is this a person who truly believes in the Son? This is someone who betrays the Lord! True believers in the Son refer to those who not only believe in the Lord but also accept His return, who follow Christ to the end. Only this type of person can gain eternal life. Those who only believe in the Lord Jesus but do not accept Almighty God are all people who betray the Lord Jesus. They believe in the Lord but because they do not follow God to the end, their belief is all for naught—they fall by the wayside. The Lord Jesus determines that they are evildoers because they only acknowledge His name but do not accept His return. And He said: “I never knew you: depart from Me, you that work iniquity.” So, those people who are thus condemned and cast out by the Lord, those who only keep His name, can they gain eternal life? It is certain that they will gain nothing. What’s more, they will descend into hell and be punished! This fully reveals God’s righteous and holy disposition. Despite the fact that when we accepted the Lord Jesus’ redemption in the Age of Grace, our sins were forgiven and we were granted the right to pray to God and enjoy His grace and blessings, it cannot be denied at this time, we are still constrained by our sinful nature, we still live helplessly in sin, we are utterly incapable of practicing the Lord’s word and have no real reverence and obedience to God. At this time, we can often still lie and deceive God; we seek after fame and fortune, lust for money and follow the trend of the world. Especially when the work of God is not in line with our notions, we would blame, judge and even resist God. Such people couldn’t even repent truly, so could such people attain the Lord’s commendation? Even though many men are able to follow, testify to, even sacrifice their lives for the Lord, and have truly repented, in reality, have their corrupt dispositions been purified? Do they truly know the Lord? Have they actually rid themselves of Satan’s influence and been gained by God? Absolutely not, this is a commonly acknowledged fact. This is sufficient to prove that the work of the Lord Jesus during the Age of Grace was merely a work of redemption. It was definitely not the work of salvation and perfection of the last days. The words the Lord Jesus expressed during the Age of Grace merely gave people the way of repentance, not the way of eternal life; this is why the Lord Jesus said He would come again. The return of the Lord Jesus is to do the work of expressing the truth and bestowing upon man the way of eternal life, so that they may thoroughly wrest themselves from Satan’s influence and gain the truth as life to become men who know God, obey God, revere God, and become compatible with God, so that they may enter into the kingdom of heaven and gain eternal life. On the foundation of the Lord Jesus’ work of redemption, Almighty God in the last days has commenced the work of judgment starting from God’s house and has expressed all truths to purify and save mankind. He has revealed to mankind God’s righteous, majestic, and unoffendable disposition, judged and exposed the substance and fact of man’s corruption by Satan. He has unearthed the root of man’s rebellion and resistance to God, and told man all of God’s intentions and requirements. At the same time, He has explained to mankind in clear terms all of the truths which man needs to receive salvation, such as the inside story and the substance of all three stages of God’s work of salvation as well as the relationship between these three stages, the difference between the work of God and the work of man, the inside story and truth of the Bible, the mystery of the judgment in the last days, the mystery of the wise virgins being raptured and that of the perfection of the overcomers before the disasters, the mystery of God become flesh, and what it means to truly believe in, obey and love God, how to revere God and shun evil to become compatible with Christ, how to live out a life of meaning, and so on. These truths are the way of eternal life bestowed by God of the last days upon mankind. So, if we wish to gain truth and life, attain salvation and purification, and be perfected, then we must accept and obey the words and work of Almighty God, Christ of the last days. This is the only way that we may attain truth and life. Let’s read a few passages of Almighty God’s word: “God Himself is life, and the truth, and His life and truth coexist. Those who are incapable of gaining the truth shall never gain life. Without the guidance, support, and provision of the truth, you shall only gain letters, doctrines, and, moreover, death. God’s life is ever-present, and His truth and life coexist. If you cannot find the source of truth, then you will not gain the nourishment of life; if you cannot gain the provision of life, then you will surely have no truth, and so apart from imaginations and conceptions, the entirety of your body shall be nothing but flesh, your stinking flesh. Know that the words of books do not count as life, the records of history cannot be feted as the truth, and the doctrines of the past cannot serve as an account of words presently spoken by God. Only that which is expressed by God when He comes to earth and lives among man is the truth, life, God’s will, and His current way of working. If you apply the records of words spoken by God during past ages to today, then you are an archaeologist, and the best way of describing you is as an expert on historical heritage. That is because you always believe in traces of the work that God did in times gone by, only believe in the shadow of God left from when He previously worked among man, and only believe in the way that God gave to His followers in former times. You do not believe in the direction of God’s work today, do not believe in the glorious countenance of God today, and do not believe in the way of truth presently expressed by God. And so you are undeniably a daydreamer who is completely out of touch with reality. If now you still cling to words that are incapable of bringing life to man, then you are a hopeless piece of deadwood,[a] for you are too conservative, too intractable, too impervious to reason!” (“Only Christ of the Last Days Can Give Man the Way of Eternal Life” in The Word Appears in the Flesh). “Christ of the last days brings life, and brings the enduring and everlasting way of truth. This truth is the path through which man shall gain life, and the only path by which man shall know God and be approved by God. If you do not seek the way of life provided by Christ of the last days, then you shall never gain the approval of Jesus, and shall never be qualified to enter the gate of the kingdom of heaven, for you are both a puppet and prisoner of history. Those who are controlled by regulations, by letters, and shackled by history will never be able to gain life, and will never be able to gain the perpetual way of life. That is because all they have is dirty water that they have clung on to for thousands of years, instead of the water of life that flows from the throne. Those who are not supplied with the water of life will forever remain corpses, playthings of Satan, and sons of hell. How, then, can they behold God? If you only try to hold on to the past, only try to keep things as they are by standing still, and do not try to change the status quo and discard history, then will you not always be against God? The steps of God’s work are vast and mighty, like surging waves and rolling thunders—yet you sit and passively await destruction, sticking to your folly and doing nothing. In this way, how can you be considered someone who follows the footsteps of the Lamb? How can you justify the God that you hold on to as a God who is always new and never old? And how can the words of your yellowed books carry you across into a new age? How can they lead you to seek the steps of God’s work? And how can they take you up to heaven? What you hold in your hands is the letters that can provide but temporary solace, not the truths that are capable of giving life. The scriptures you read are that which can only enrich your tongue, not words of wisdom that can help you know human life, much less the paths that can lead you to perfection. Does this discrepancy not give you cause for reflection? Does it not allow you to understand the mysteries contained within? Are you capable of delivering yourself to heaven to meet God on your own? Without the coming of God, can you take yourself into heaven to enjoy family happiness with God? Are you still dreaming now? I suggest, then, that you stop dreaming, and look at who is working now, at who is now carrying out the work of saving man during the last days. If you do not, you shall never gain the truth, and shall never gain life” (“Only Christ of the Last Days Can Give Man the Way of Eternal Life” in The Word Appears in the Flesh). “Those who wish to gain life without relying on the truth spoken by Christ are the most ridiculous people on earth, and those who do not accept the way of life brought by Christ are lost in fantasy. And so I say that the people who do not accept Christ of the last days shall forever be despised by God. Christ is man’s gateway to the kingdom during the last days, which none may bypass. None may be perfected by God except through Christ. You believe in God, and so you must accept His words and obey His way. You must not just think of gaining blessings without receiving the truth, or accepting the provision of life. Christ comes during the last days so that all those who truly believe in Him may be provided with life. His work is for the sake of concluding the old age and entering the new one, and is the path that must be taken by all those who would enter the new age. If you are incapable of acknowledging Him, and instead condemn, blaspheme or even persecute Him, then you are bound to burn for eternity, and shall never enter the kingdom of God” (“Only Christ of the Last Days Can Give Man the Way of Eternal Life” in The Word Appears in the Flesh). Almighty God, Christ of the last days, has expressed all the truths which will purify and save mankind. These words are abundant and comprehensive, and contain all of the sustenance which God provides. They open our eyes and enrich our knowledge, allowing us to see that Christ is the truth, the way, and the life, and that Christ is the way of eternal life. The words that God has expressed in the Age of Kingdom go far beyond all that was said during the Age of Law and the Age of Grace. Especially, as in “God’s Words to the Entire Universe” in The Word Appears in the Flesh, God makes Himself known for the first time to all of humanity. It is also the first time humankind hears the Creator’s utterances to all of man. This has sent shockwaves through the entire universe, and opened the eyes of man. This is the work of judgment before the great white throne in the last days. The Age of Kingdom is the age in which God does the work of judgment, and is the age in which God’s righteous disposition is made manifest to all mankind. So, in the Age of Kingdom, God expresses His word, judging, purifying and perfecting man. He will send down all manner of disasters, rewarding the good and punishing the wicked. He reveals God’s righteousness, majesty, and wrath to mankind. All of the truths that Almighty God expresses to purify, save and perfect man are the way of eternal life God bestows upon man in the last days. These truths are the water of the river of life which flows from the throne. So, in our belief in God, if we want to gain the way of eternal life, and attain rapture, and enter the kingdom of heaven, we must accept the work of judgment of Almighty God, Christ of the last days, as well as the judgment and chastisement of His words. Only this way can we gain the work of the Holy Spirit, understand and gain the truth, achieve purification, and be saved. Only those who undergo Almighty God’s judgment and chastisement in the last days are entitled to enter into God’s kingdom. This is an absolute fact! If we continue to hold on to our own religious notions, in the end it will be we ourselves that suffer a loss. The wise virgins only focus on seeking the truth and listening to God’s words, but the foolish virgins only keep to the letters of the Bible and their conceptions and imaginings, and do not seek the truth or listen to God’s voice. Then one day, they will suddenly fall into disaster and be weeping and gnashing their teeth, and even regret will be useless. So, all those who do not accept Almighty God will fall into disaster and be punished. This is what God has ordained and no one can change it. Particularly those who wildly condemn Almighty God’s work in the last days, they have already been revealed by God to be the antichrists of the last days—those people will suffer eternal punishment and will no longer have the chance to meet God. It is clear that Almighty God’s work in the last days is to classify man according to kind, to determine people’s outcomes, and conclude the age. Today we are able to accept Almighty God’s work in the last days, in this we have truly gained His grace and His mercy. This is the ultimate uplifting by God! We should all give thanks to Almighty God! Previous：Question 20: The Lord Jesus was nailed to the cross as a sin offering for man, thereby redeeming us from sin. If we stray from the Lord Jesus and believe in Almighty God, would this not be a betrayal of the Lord Jesus? Would this not be apostasy? Next：Question 22: You bear witness that Almighty God is God incarnate who is currently doing His work of judgment in the last days, but the religious pastors and elders say that the work of Almighty God is actually the work of a human being, and on top of that, many people who don’t believe in the Lord Jesus also say that Christianity itself is just belief in a man. We still cannot discern what exactly is the difference between the work of God and the work of man, so please fellowship on this with us.